Andrei Kirilenko, who made his name playing for the NBA’s Utah Jazz and the Brooklyn Nets, was elected president of the Russian Basketball Federation on Aug. 25. The former international plans to rebuild trust in the organization. 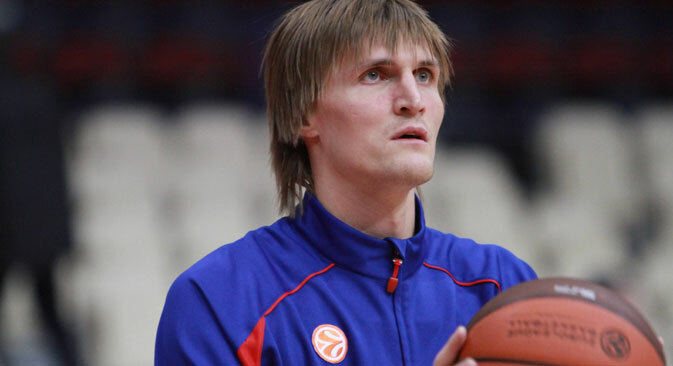 Former Russian international basketball player Andrei Kirilenko, who made his name playing for the NBA’s Utah Jazz and the Brooklyn Nets, was elected president of the Russian Basketball Federation (RFB) at the organization’s extraordinary election conference held in Moscow on Aug. 25. The RFB presidential elections were held in a difficult period for Russian basketball. In late July, the International Basketball Federation (FIBA) announced the disqualification of all teams in Russia because of the organization’s opaque management system. The decision was rescinded on Aug. 9, but the disqualification of the officials of the Russian Basketball Federation remains in force. Kirilenko was among those who harshly criticized the previous leadership of the Russian basketball for failing to build a clear system of management. “Our basketball is experiencing a crisis of trust, and the division in the family has a bad influence on our position in the international arena. My main task is the consolidation of forces,” Kirilenko said in an interview with the R-Sport news agency. “I fully support Kirilenko – if he heads the RFB, it will be a big plus for the Russian basketball,” the Brooklyn Nets’ Russian defender Sergey Karasev said in an interview with R-Sport. “I am sure he will be able to return our basketball to the previous level, because until recently we took bronze at the Olympics and gold at EuroBasket,” said Karasev.